Publishers with a long history of creating new content (articles) are nearly always negatively impacted by the ever-evolving Google Algorithm. Google engineers work very hard to identify low quality content. Once identified, the search performance of this content is degraded. If there is enough of that content, which there usually is, the performance of the entire site is impacted. The quote makes it sound like publishers are given a pass if their content is unique and not necessarily stuffed with keywords. Here is the problem; most publishers compete against other publishers that are addressing the same topic or news item. It is very easy for Google to treat what was unique content, as duplicate. The shorter the content length (number of words), the more likely this is. In addition, the shorter the content length, the higher the bounce rate. A visitor that is searching for a specific news item that lands on a page with just a handful of sentences is more likely to “bounce” to another search result. Higher bounce rates are an additional signal to Google that the content is “thin”. The critical SEO title must always be supported by the content. That means that words/phrases in the title must also appear in the content. Google is much more likely to see keyword stuffing in shorter content because of the higher ratio of keyword to non-keyword content. Anecdotal evidence (because that is all there is as Google does not document this) suggests that in a 200-300 word article the focus keyword phrase should appear only once. Such an article will typically be ineffective for that phrase. The alternative is to use the phrase more than once and risk being dinged for keyword stuffing. Publishers must always focus on link acquisition. Shorter content is typically less attractive than longer content. Visitors who might possibly link to the content will not only lose interest in the content itself, but eventually lose interest in the entire site. That creates an ever-declining drop in the link acquisition rate that is easily observed in third-party link analysis tools such as Ahrefs.com. Worse, as the content ages and loses relevance, link acquisition stops entirely and the overall ratio of link acquisition to page growth decreases. That is viewed by Google as a negative ranking factor and impacts the virtual quality score for the website. Once you understand that the thin content is not getting any links, has a high bounce rate, and is probably penalized by Google you are ready to address the overall impact to the rest of the site. All websites have a finite amount of authority that is distributed to all the content via the click-path. The authority is distributed and redistributed to and from each page. Any authority that is passed to a penalized page is simply lost to the website. Worse, if any inbound links were acquired, that rank is lost as well. It is important not to view this as a simple good or bad signal from Google. The content may still perform for some searches, but the overall performance is degraded. The cumulative negative effect actually increases through time. It is critical to write unique ROBUST compelling content and don’t over optimize. Focus on the visitor experience. A good visitor experience almost always provides the best SEO. Visitors who like the content are less likely to bounce and more likely to link. Let the visitor performance and link acquisition be the true measure of your content strategy. The visitor performance can be measured by looking at the number of pages per visit, bounce rate, and visit duration. If these numbers are improving, so will search performance. What is the optimal content length for an article? This is the most common question asked by publishers. Google doesn’t provide any documentation for this because the optimal content length really depends on many factors. Though setting an artificial range for content length is a mistake, setting a minimum is critical. Google limits the display of the SEO title to 50-60 characters. Most publishers use that as a guideline and that establishes a usable benchmark. So if you assume an SEO title length of 50-60 characters, which typically allows for one or two targeted phrases. Assuming you want to have enough content to support at least one primary phrase with a minimum of two occurrences, that suggests a content minimum of at least 300 words (approximately 6-8 sentences or 1-2 paragraphs). That is still a very thin visitor experience. All things being equal, competing content that is twice as long will outperform the shorter content. The additional content may also contain and phrases that are attractive for searchers. If the topic is complex or there is a robust history, the article should be much longer. Give the visitor the basics in the first couple of paragraphs and then let them dig deeper if they choose. It is silly to lose a visitor who has more interest and leaves the site to find better content. That visitor may never return. It is baffling why so many publishers focus more on the quantity of their articles rather than the actual quality. The long term implications of that behavior are disastrous. The authors should be taking the time to research and write the additional content needed for the best visitor experience. Every article should be treated as a permanent asset to the website rather than an eventual liability. For most publishers it is almost impossible to identify the thin content. There can be hundreds or thousands of articles spread across many years. Very few publishers have a process in place to remove the older content. Even when they do, they are often reluctant to remove it. Blindly removing older content is a mistake. If the content was even marginally successful, then it probably acquired valuable inbound links that may still be in place. Those links make up the overall authority of the website. Removing the pages basically discards that authority. Publishers are often less concerned about this, than they are about the traffic for those articles, but that is only a factor for a very small number of articles. For WordPress publishers, there are now ways to address both concerns (inbound links and traffic). 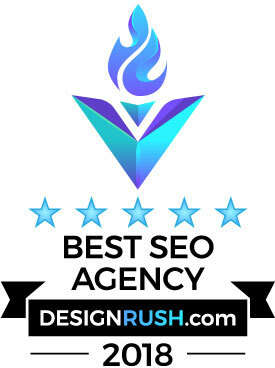 There is a plugin provided by SEO Tech that both identifies and redirect thin content. The plugin has a settings page where the administrator can set word count and published date thresholds. The settings page shows a count of how many posts are affected. All posts that meet the criteria are then redirected to either a tag/ category page, the home page, or a default URL. This redirection preserves the authority of any inbound links. The administrator can also manually exclude any post from this process. It also includes an export process that will create a spreadsheet for each year. This plugin is subscription based and should only be used under the supervision of an SEO specialist. It is specifically designed for large publishers. Click here to learn more.